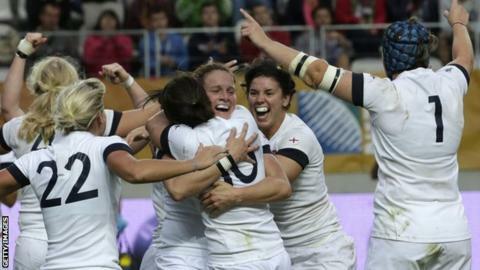 New Zealand top the first rankings for women's Test rugby, with World Cup holders England third. Results from every official women's international have been assessed to produce the inaugural standings. "It's a positive step for one of the fastest growing team sports in the world, as it brings parity with the men's game," said World Rugby chairman Bernard Lapasset. France are second, with Ireland fourth, Wales 10th and Scotland 13th. All four join England and Italy, who are eighth, in the Women's Six Nations, which begins on Friday. Points awarded to teams in future Tests will be dependant on the difference in ranking points between the teams. Lapasset added: "World Rugby is committed to driving forward the competitiveness of the women's game and the new rankings are yet another significant milestone."